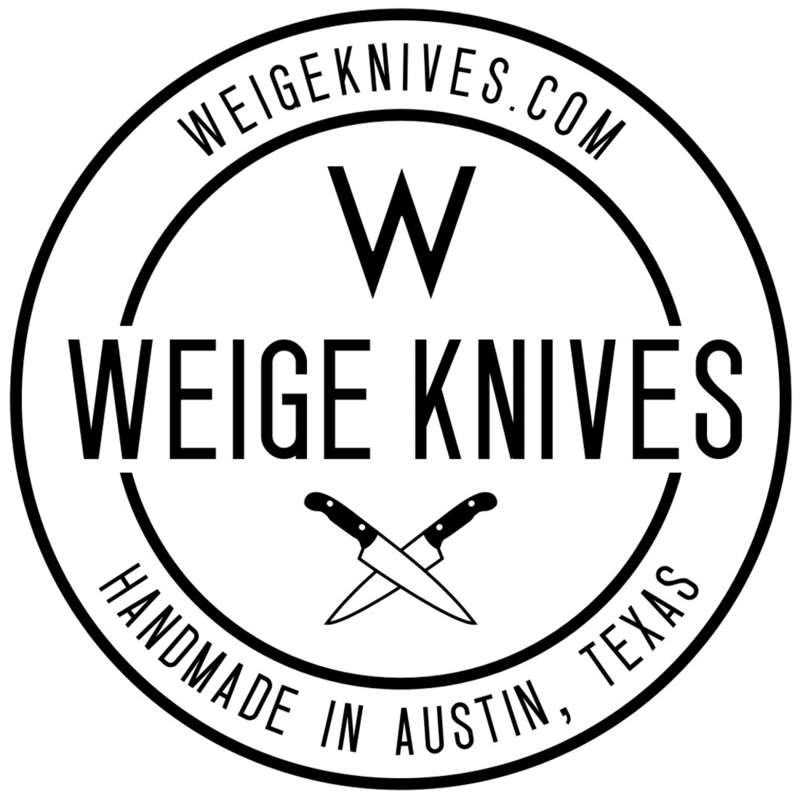 Home/News/Another custom 13″ chef knife from Austin, TX. 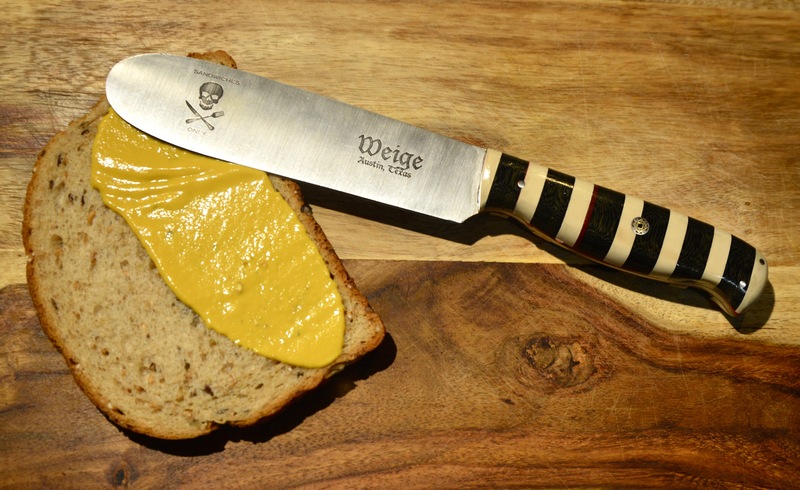 Another handmade 13″ custom chef knife from Weige Knives in Austin, TX. 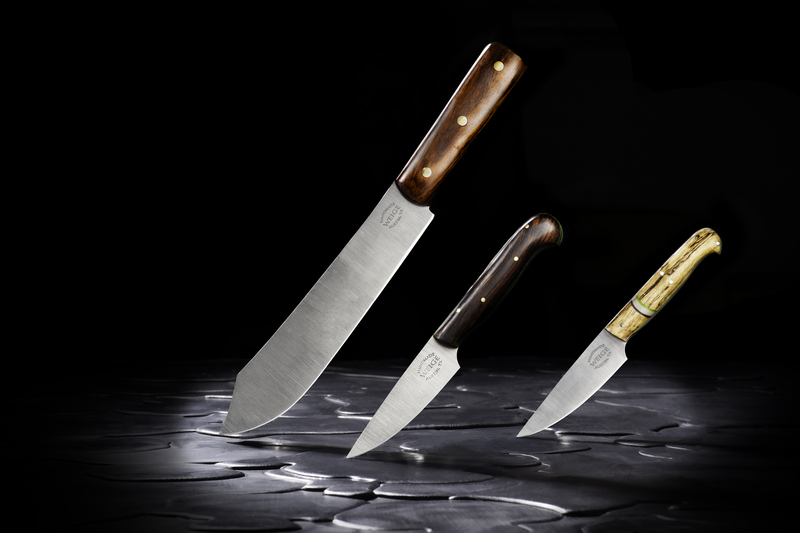 I continue to get more and more orders for large chef knives. The larger the knife the trickier it is. There’s just more surface to cover, more scratches to chase and more room for tiny mistakes to show. It’s a challenge I enjoy. So here’s the latest knife from my bench. A 13 inch chef knife in 440c stainless steel with a stabilized, spaulted maple burl handle with handmade mosaic pins. The blade is thin and wide and runs the trifecta in that it can chop (3.5 inches of flat blade) and then recurves for slicing and then a traditional point for piercing.